Some photos of the Expo,so far. I set up the stall for SAG, right at the door, then had a walk around. Here is Mike Mansfield, from the USA, promoting My Heritage.com. 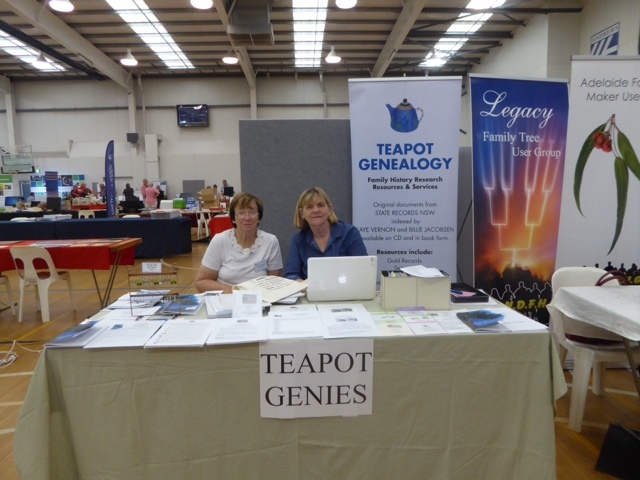 It was great to catchup with Kaye and Suzanne, from Teapot Genealogy. Kaye is presenting a talk on The plight of children in the 19th and early 20th century. 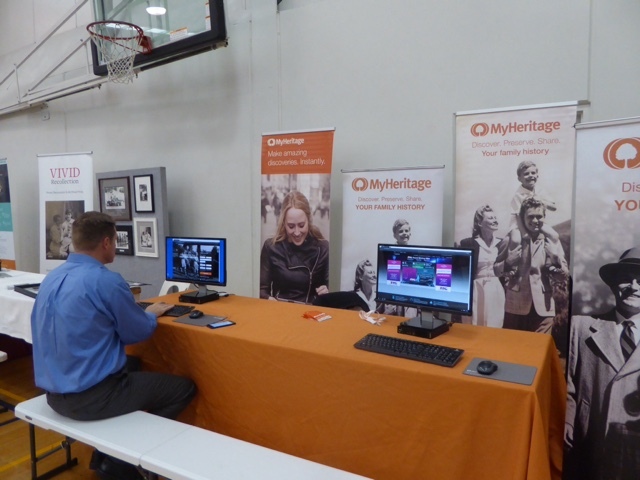 Paul Parton, from FamilySearch, his here to present several talks about Family Search. 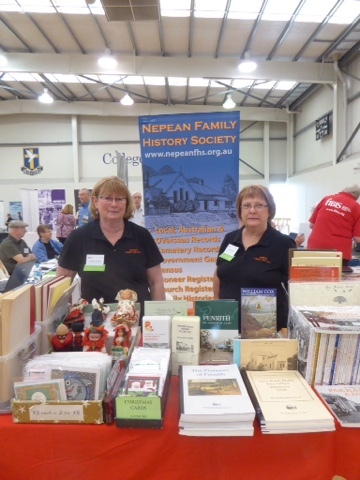 The lovely ladies from Nepan Family History Society, were there, a long way from home. 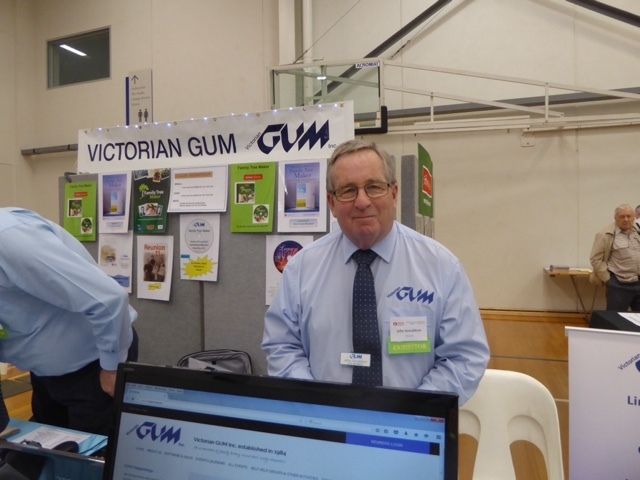 John from VictorianGUM, explained what they do. 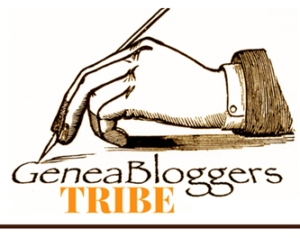 They are an online group, Linking Family History and Computers. Something I'm going to look into. 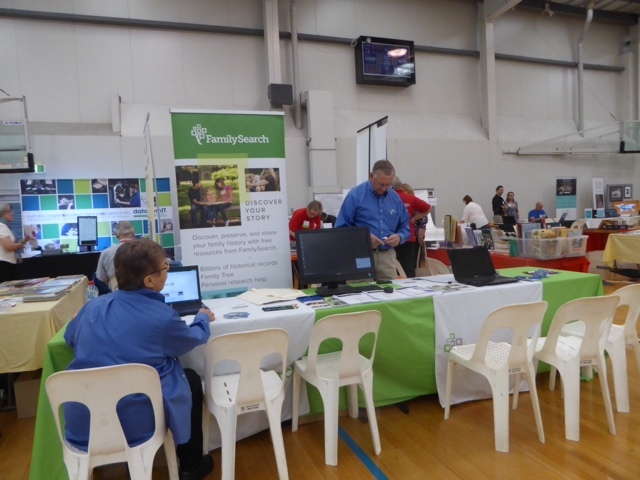 Genealogy SA and the interest groups were well represented. 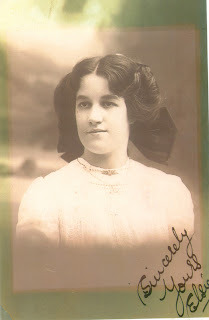 South Australian Archives were there, Gould Genealogy, Ancestry, FindMyPast and several libraries as well. Coming up to lunchtime, must go.